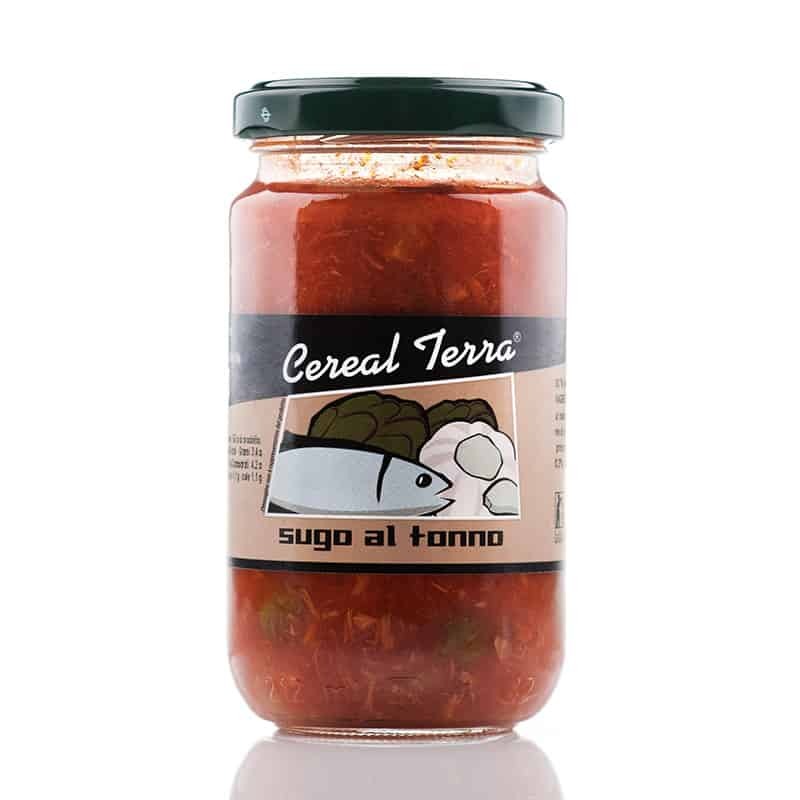 A ready to use organic tuna and anchovy sauce with tomato. Try this tasty sauce in your cookery for an authentic Mediterranean meal. It's really useful to have it in the cupboard as it goes very well with durum wheat semolina spaghetti. For a quick meal, try with our squid fish ink penne or spaghetti. Ingredients: Tomatoes, tuna (fish), onions, olives, garlic, extra virgin olive oil, parsley, sea salt, cappers and salted anchovies (fish).